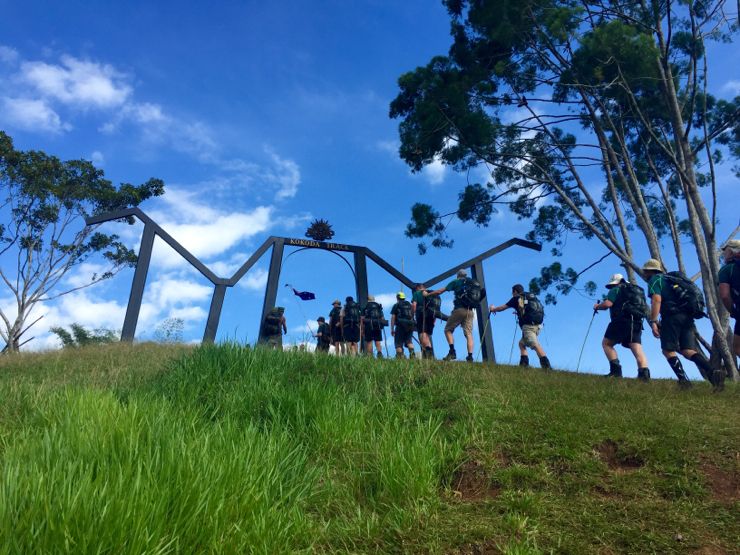 In late June, a small father and son group from Shore Grammar School in Sydney embarked on a crossing of the fabled Kokoda Track in Papua New Guinea. Under the expert guidance of former Australian Army officer, Angus Baker and his son Fergus, the group spent 7 nights/8 days on the trail. The Kokoda campaign, which saw the first land defeat of the Japanese Imperial Force in World War 2, is recognised as a turning point in the war. The heroic performance of Australian forces in this campaign has rightfully gained a place at the forefront of Australian consciousness. However, you can only really begin to understand the “legend” when you embark on a crossing of the pristine Owen Stanley Ranges, with its razorback ridges and steep gullies, and have the various battles recounted in detail in the actual locations on the ground. At key locations, Angus delivered detailed battle briefs recounting the timeline and movement of troops as they firstly retreated from the advancing Japanese and, once the momentum was halted, advanced to contact to drive them back to the north. 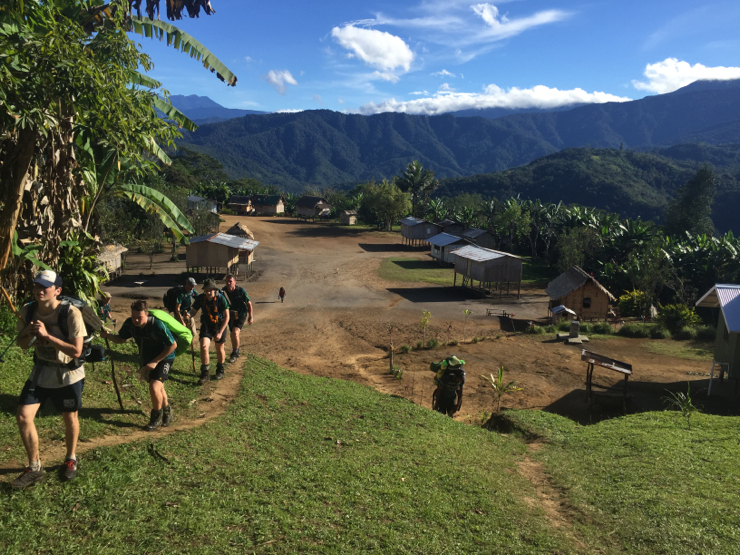 To that end, our group started the trek in the village of Kokoda and trekked back to Owers Corner. Whilst the military history of the track is the prime motivation to go, once on the track you quickly realise it is much more. This is an incredible tropical wilderness sparsely populated by a hardy and engaging people still very much living a traditional existence. 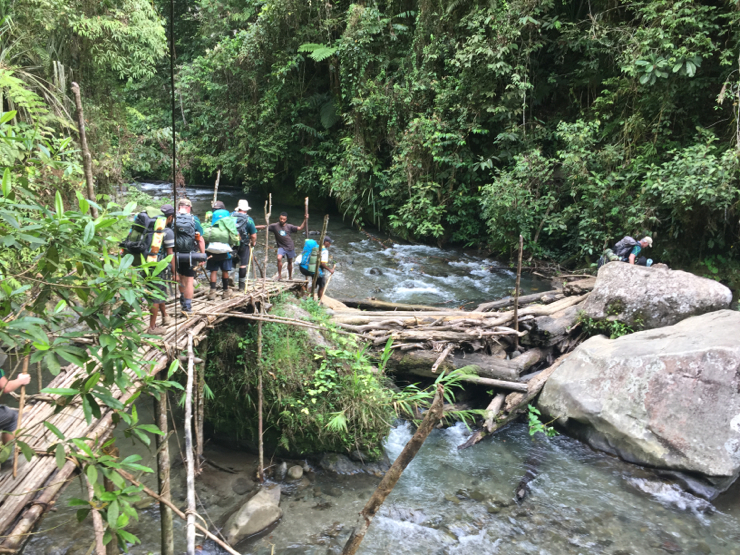 Our team were ably supported by a team of locals, living in close proximity throughout, and providing a wonderful insight into the local culture.For a group of fathers and sons the richness of the passage and the physical challenge made for an incredible bonding experience. The trek ended with a visit to the Bomana War Cemetery, where the 625 fatalities from the battle are buried. A sad but fitting end to the adventure. 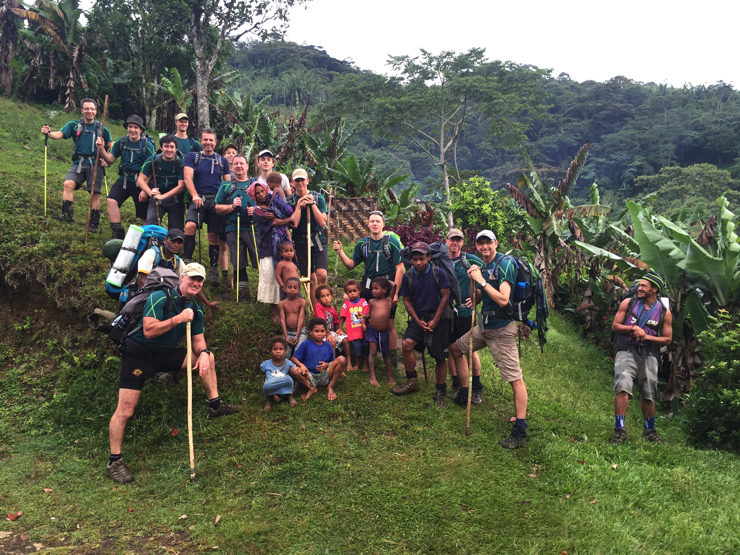 Kokoda is nowadays a “rite of passage” for many young Australians. At Epic, we encourage all families with the wherewithal, an inclination for challenge and adventure and the wish to inculcate in their children a respect for the sacrifice their forbears gave to make a better Australia, to embark on a crossing of the track at some point.